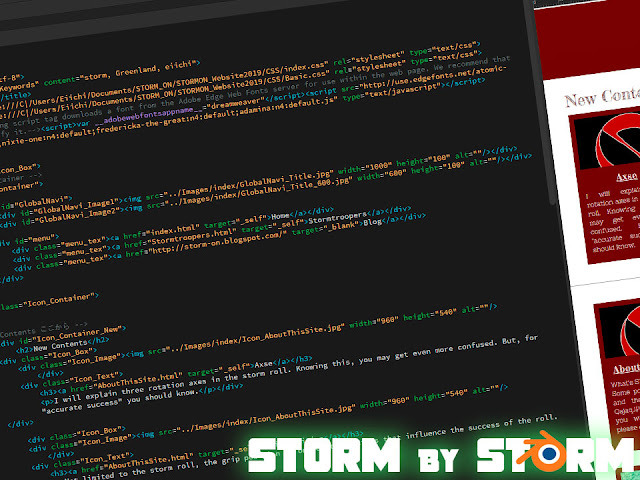 I'm preparing a new design website of STORM ON. I also make a website of "QajaqJPN", so the design will be similar. As a workaround, I will renew the design. I am going to write most of the articles in English. Because, QajaqJPN will do the information dissemination to Japan. My targets are countries where Greenland style has not yet penetrated or friends who wants information about it. Anyway, it should be useful for some reason. Thanks!